Margaret I. (Brown) Peznola, of Leominster, MA, passed away peacefully on Friday, March 29, 2019 surrounded by her family at Leominster Hospital at the age of 82. Margaret was born on May 21, 1936 in Boston, MA, and was the daughter of the late James and Mary (Burke) Brown. 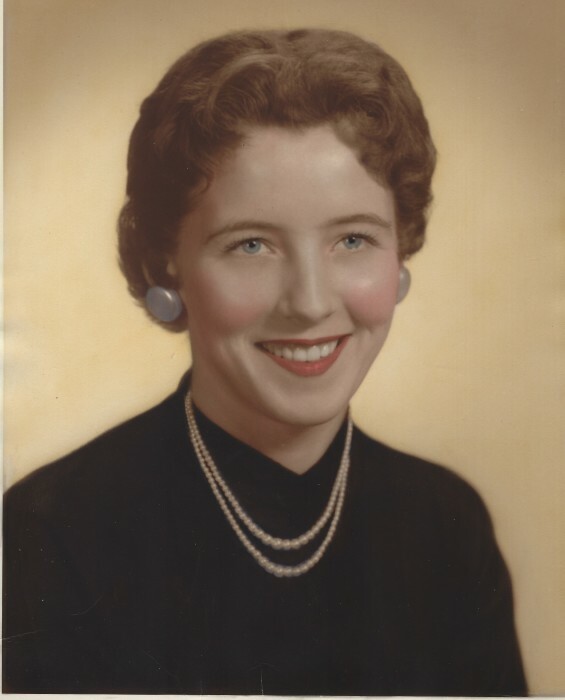 After graduating from Hyde Park High School with the Class of 1955, she worked at John C. Paige Insurance Co. in Boston. Soon after, Margaret married her loving husband, the late Robert A. Peznola on June 7, 1958, and together they raised their six children in Brockton, MA, celebrating in all their children’s activities and accomplishments. As her children grew older, Margaret took work at Boston Mutual as a claims adjuster in Boston, MA before retiring to Alton, NH with Bob. Their most precious memories were those spent at their summer home in Alton, spending time with children, grandchildren, and friends, all while establishing long-term relationships with many friends at Fernhill. Margaret was beloved by those in her community and touched so many lives in her roles as scout leader, active church member, hockey and drama mom. She was a loving wife, mother, and grandmother, and her family will miss her dearly. Beloved wife of the late Bob Peznola. Loving mother of Robert Peznola Jr. and Jennifer of Rowell, GA, Colonel USMC (Ret.) Michael Peznola of Fairfax, VA, Joseph Peznola and Deborah of Thornton, NH, John Peznola and Buffy of Leominster, MA, Julie Hatt and Peter of Edgartown, MA, and the late Jamie Binney and her surviving husband Scott of Norwood, MA. Cherished grandmother of Tyler, Shane, Jack, Gia, Michael, Ava, Anthony, Dominic, Daniel, Jessica, Nolan, Nicole, Samantha, Teddy, Timmy, Kylie, Kenny and Kaleb. Sister of Geraldine Brown of Santa Fe, NM, David Brown of Sabattus, ME, and the late James Brown Jr. Relatives and friends are kindly invited to attend Margaret’s Life Celebration on Friday, April 12, 2019 from 4:00 to 8:00 PM in the James H. Delaney & Son Funeral Home, 48 Common Street, Walpole, MA 02081. A Mass of Christian Burial will be celebrated in the Blessed Sacrament Church, 10 Diamond Street, Walpole, MA on Saturday, April 13, 2019 at 10:00 AM, followed by interment at Rural Cemetery in Walpole. In lieu of flowers, memorial donations may be made to the American Heart Association, PO Box 417005, Boston, MA 02241.